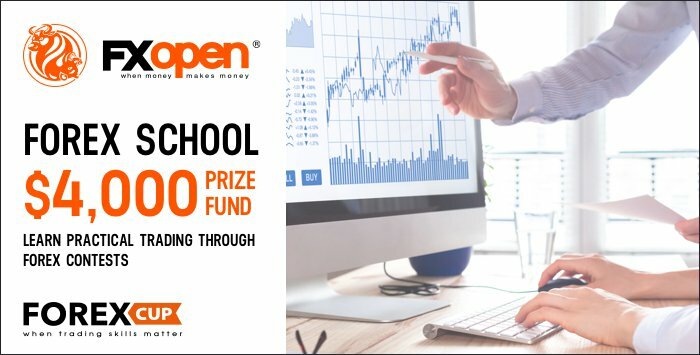 On February 4, 2019 ForexCup and FXOpen launch a free educational contest on demo accounts “Forex School”, in which everyone can test their Forex trading skills. According to the results of the four-week competition, 16 winners will share the prize fund of 4000 USD. Do not miss your chance! It’s prohibited for relatives to trade in one competition using one and the same IP address. * Attention! The prize money will be added to the winner’s investment account. This money is not withdrawable and can only be used to open a PAMM STP account for participation in the next contest on real accounts. Only profit from trading can be withdrawn. Join the contest using this link with your account data. Join the contest using this link with your FXOpen or ForexCup registration data.